Simply Arranged – Quilt Sampler Project — Sewing Seeds Quilt Co. Simply Arranged. Wool and flannel combine in a wall quilt that suits all seasons. 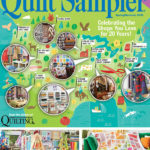 Measuring 31-1/2” x 33-1/2”, our exclusive pattern appears in the Spring/Summer 2015 Issue of Quilt Sampler Magazine. This project was designed to inspire and share with you our thankfulness for the many blessings found in the seasons of our lives. Your shop looks wonderful. I am looking to begin quilting and am quite a beginner even at sewing. Do you give classes? 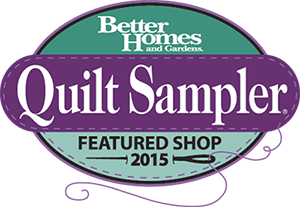 Yes, we do offer beginner quilt classes! Our next newsletter will be available in 1-2 weeks and will include our upcoming classes and clubs. Are you already on our mailing list? If not, please use the link on our homepage to request our email newsletter. Have a very Merry Christmas!